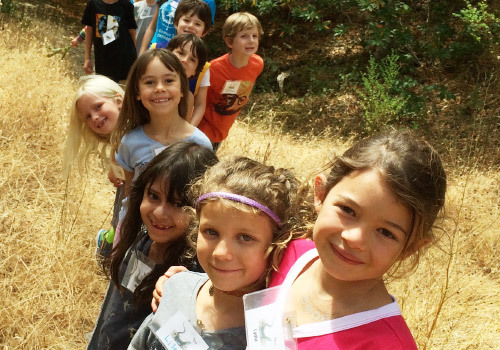 Welcome to a summer of exploration and fun in the outdoors! 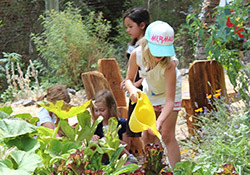 Let your kids be dazzled by dirt and critters, inspired by plants and fresh veggies, and engaged in fun games, activities, crafts and hands-on learning. 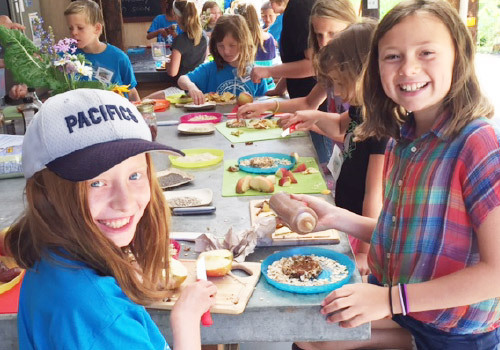 We'll plant & harvest, cook in our outdoor kitchen and cob oven, build fairy houses, make crafts, mud pies, garden potions, care for the chickens, sing songs, do silly skits and so much more! Come explore the magical wonders of the garden! Bring your own lunch. Snacks will be provided. Shelley is the Director of Sustainability and has over 16 years of experience developing environmental education programs for youth She worked in the State Parks for three years as a Park Naturalist and coordinated AmeriCorps programs at the Marin Conservation Corps serving over 15 schools in Marin County and various parks within the Golden Gate National Recreation Area. She provided AmeriCorps members with training to teach school children environmental education and support schools in building gardens, setting up recycling systems, performing energy and waste audits, and restoring creeks. Shelley is certified in Permaculture and has a Bachelor of Science degree in Developmental Psychology from Longwood University in Virginia.